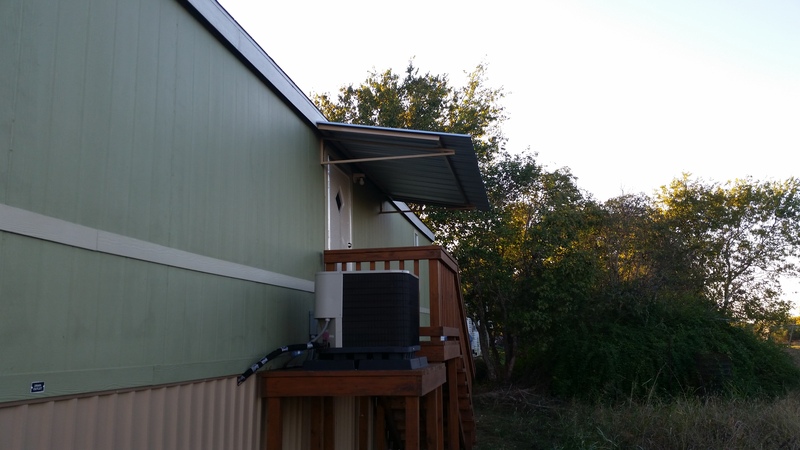 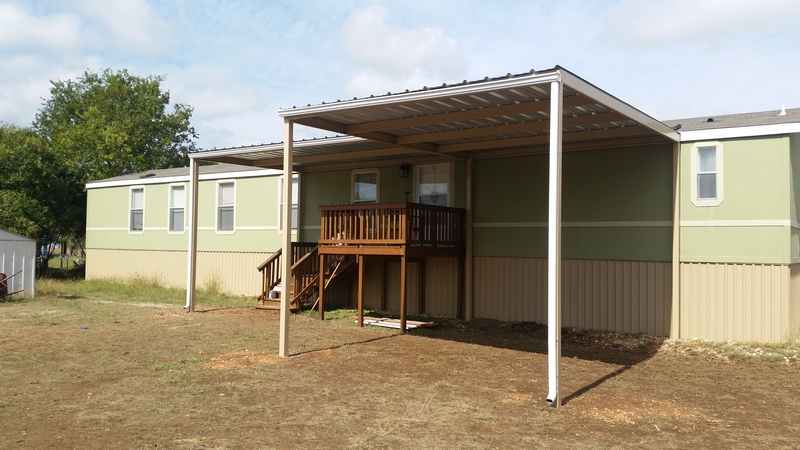 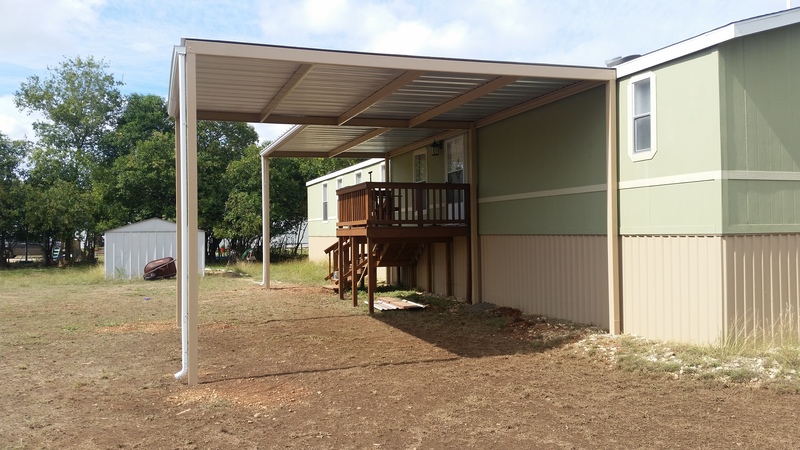 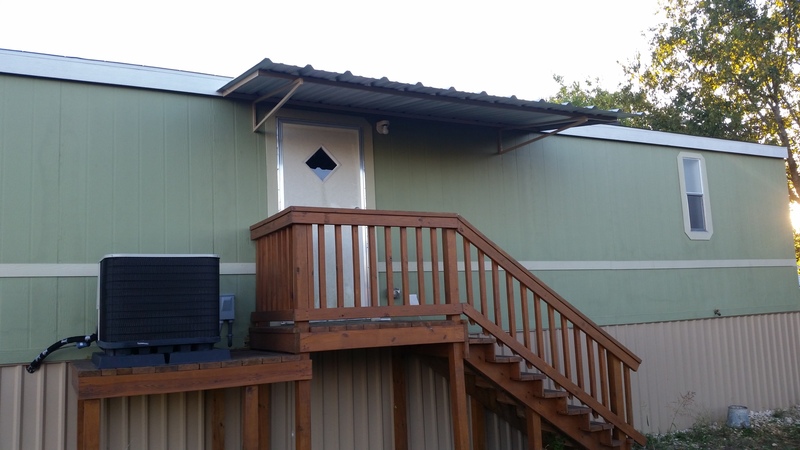 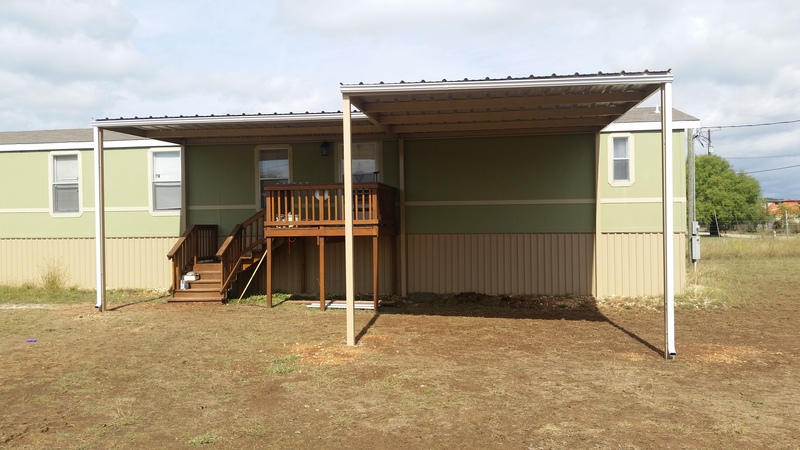 Front and Back Awning with Carport Attached to Mobile Home - Carport Patio Covers Awnings San Antonio - Best Prices in San Antonio! 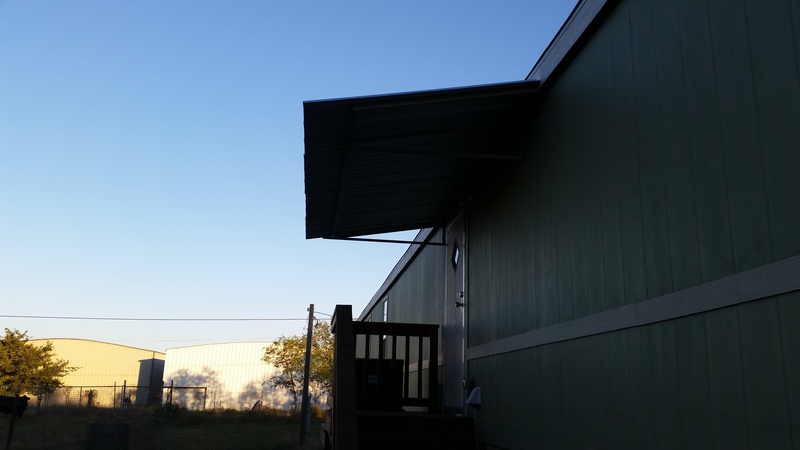 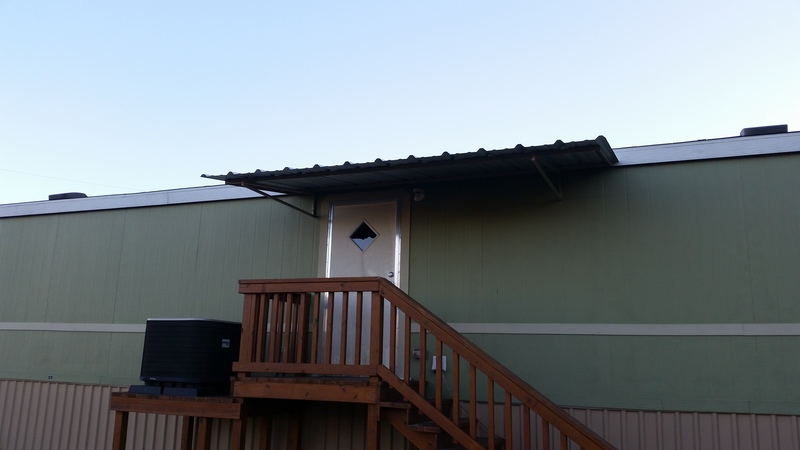 Front and Back Awning with Carport Attached to Mobile Home 15'x20' carport attached to an 18'x12' porch. There are two separate structures that are a continuation of one another. 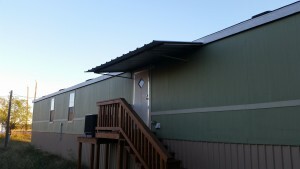 Both are attached to the mobile home, with a sealant between the home and the structures to prevent leaks. On the back side of the home is a 12'x6' porch cover. 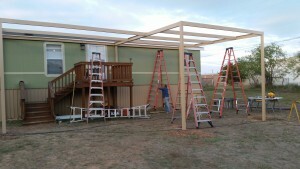 Anyone can see from the before and after pictures what a difference our structures make to your home! 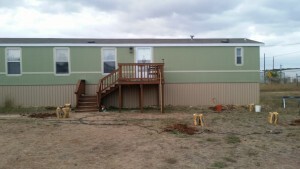 All posts were painted to customer's specifications. 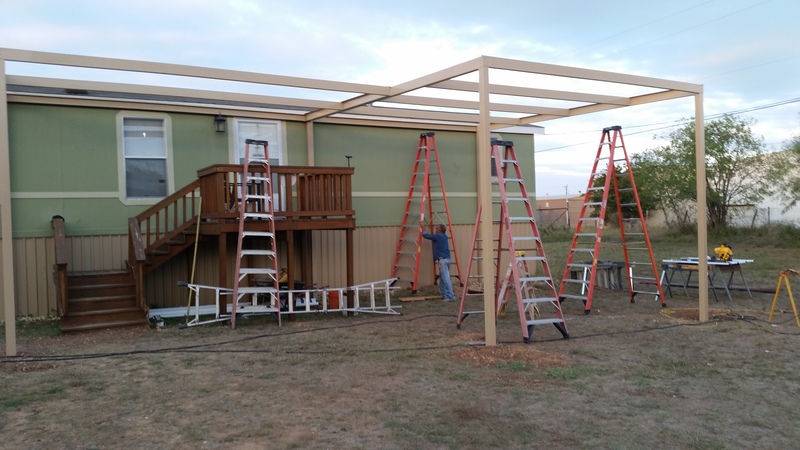 Posts are planted into the ground at 24" deep with concrete surrounding them.